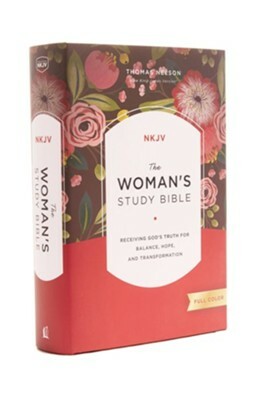 With this redesigned, full-color edition of Thomas Nelson's The Woman's Study Bible, women of all ages can experience the renewal, hope, and transformation that only God's Word can bring. 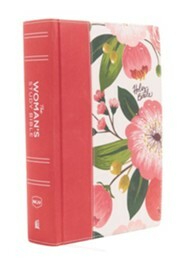 With special notes and features appealing to women's interests, highlighting women throughout Scripture, and capturing the unique ways Christ cares for women, this Bible truly speaks to a woman's heart. 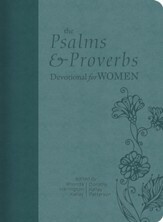 Contributions come from more than 80 women with a wide variety of ethnic, denominational, educational, and occupational backgrounds. 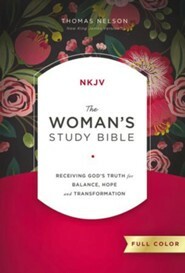 The Womans Study Bible poignantly reveals the Word of God to women, inviting them to receive Gods truth for balance, hope, and transformation. Special features designed to speak to a womans heart appear throughout the Bible text, revealing Scripture-based insights about how godly womanhood grows from a womans identity as a Christ-follower and a child of the Kingdom. 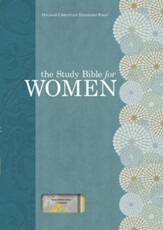 Now with a beautiful full-color redesign, The Womans Study Bible reflects the contributions of over 80 women from a wide variety of ethnic, denominational, educational, and occupational backgrounds. 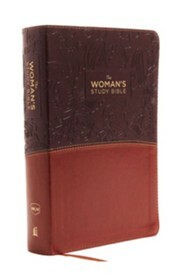 Since the publication of the first edition of The Womans Study Bible under the editorial guidance of Dorothy Kelley Patterson and Rhonda Harrington Kelley, this landmark study Bible has sold over 1.5 million copies. 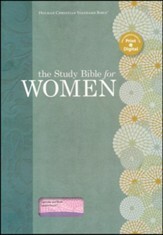 Dorothy Kelley Patterson serves as professor of theology in womens studies at Southwestern Baptist Theological Seminary in Fort Worth, Texas. Dr. Patterson has authored a number of books and articles, including: Touched by Greatness: Women in the Life of Moses, The Handbook for Ministers Wives, The Family: Unchanging Principles for Changing Times and several others. 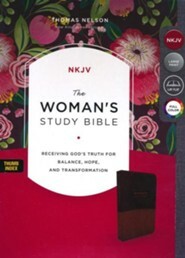 Rhonda Kelley is Presidents wife and Adjunct Professor of Womens Ministry at New Orleans Baptist Theological Seminary in New Orleans, Louisiana. 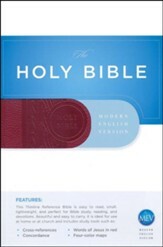 She is a frequent speaker for women as well as an author of books including Divine Disciple, Life Lessons for Women of the Bible, and Personal Holiness: A Biblical Study for Developing a Holy Lifestyle. She is also the associate director for Innovative Evangelism, a local non-profit evangelical organization. 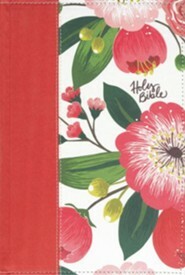 I'm the author/artist and I want to review The NKJV Woman's Study Bible, Hardcover, Full Color.